Proposed Development. Image Credit: Morris Adjmi & LI/Saltzman Architects. The two sites, which together constitute one through-block lot, will host new ten- and 13-story buildings designed by Morris Adjmi Architects. 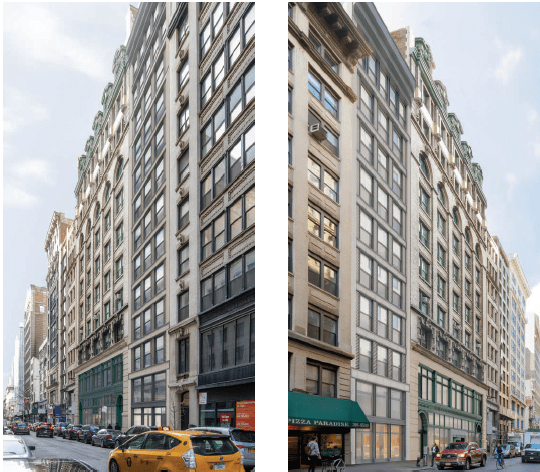 On June 22, 2016, the Landmarks Preservation Commission considered and approved an application to demolish two structures in the Ladies’ Mile Historic District, at 21West 17th Street, and 16 West 18th Street, and replace them with a 13-story and a ten-story building, respectively. The two lots face each other at the rear, and together make for one through-block parcel. The existing buildings on both lots have histories dating to the 19th century, but retain little or no historic fabric. The planned new buildings were designed by architect Morris Adjmi, who has successfully shepherded other projects in the neighborhood through Landmarks approval process. The properties are officially owned by 17-18 Management Company LLC, but the Real Deal reports they are owned and being developed by C.A. White. 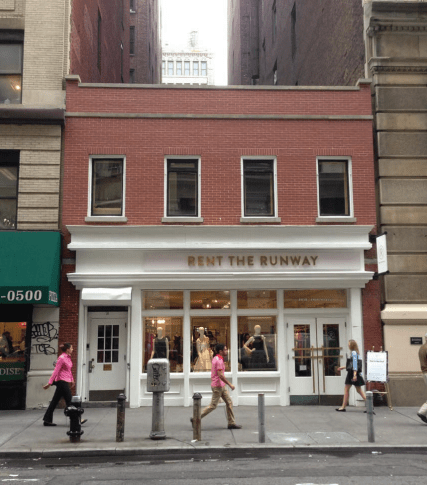 In a separate but associated application, the developers plan to restore the facade of the adjoining buildings at 23 West 17th Street, while installing a new storefront and signage. 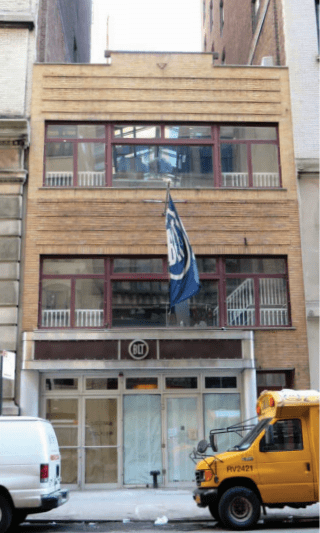 In 2005, developers sought a Certificate of Appropriateness to construct a new building at 16 West 18th Street, but commissioners rejected the possibility of demolishing the former stable, and the developers withdrew their application. Meisha Hunter, Senior Preservationist at Li/Saltzman Architects, introduced the proposal, and gave an overview of the histories of the existing building proposed for demolition. Hunter stated that the buildings were not of types for which the Historic District was designated, that they lacked historic or architectural significance, and they did not in any way convey the story of the development history of the district. The building on 17th Street is described as a “two-story 20th-century taxpayer” in the district’s designation report, with a third story constructed in 1999. A 19th-century brownstone once occupied the lot, but any historic exterior fabric has long since been lost. The building on 18th Street was originally constructed as stable in 1867. Hunter stated that the building had been heavily altered, and the only remaining visible original fabric consisted of piers on the ground floor. Hunter argued that the building provided no meaningful representation of historic character. She said neither building contributed to the districts character, or was of a typology for which the district was designated. She further attested that there were numerous small commercial buildings that would remain in the district were the development approved. Morris Adjmi presented the proposed new buildings, both of which would be clad in white terra cotta. Facing 17th Street, a new 13-story building would be constructed, while the building on 18th Street would rise to ten stories. Adjmi said he modeled the designs on tall, narrow mid-block loft buildings common to the district. Adjmi said he was also influenced by the 1893 Columbian Exposition, in utilizing white cladding and innovative technology. The buildings would have a tripartite arrangement, with a clearly defined base, and middle and top sections. Facades would be eight inches deep above the base. Jack Taylor, of the Drive to Protect the Ladies’ Mile Historic District, noted that the two properties had once both been owned by Susquehanna Silk Mills, manufacturing an important component of women’s’ wear in the Gilded Age, that the existing buildings were structurally sound, and both represented phase sin the evolution of the district. Joseph GaNun, proprietor of Academy Records on nearby 18th Street, expressed concern about the loss of small commercial buildings in the neighborhood, and their impact of their loss on the local community economically and socially. Michelle Golden, speaking for the Flatiron Alliance said the existing buildings contributed to the district and were part of the “fabric of our history.” Numerous other neighborhood residents and representatives of preservation organization spoke in opposition to the proposal. Building #1 to be Demolished. Image Credit: CityLand. Representatives of the development company said the organization had commissioned a report from Andre Dolkart, Columbia University Professor of Historic Preservation, on the merit of the two building proposed for demolition, without conditions. Dolkart had not found a compelling case for the preservation of either of the two building, observing that the structure on 18th Street retained it scale but not its fabric or architectural integrity, and that post-World War II buildings such as the one on 17th Street were not considered significant in the history of Ladies’ Mile. The Municipal Art Society’s Tara Kelly said the organization lamented the loss of light in air to the street that would be caused by the development, but ultimately found the proposal appropriate. Kelly also commended the facade restoration planned for the adjoining building on 17th Street. The attorney for the applicants, Deirdre Carson of Greenberg Traurig, responded to the testimony, and asserted that preventing the demolition of the existing building based solely on their would violate the Landmarks Law. Carson further stated that multiple other low-rise buildings would remain in the district if the project were allowed to proceed, and that a row of individually designate former stable building lay just outside the boundaries of the historic district. Commissioner Fred Bland said the decision was the most difficult one he had faced since voting for the redevelopment of St. Vincent’s Hospital, but he could accept as appropriate a vote for demolition “by a whisper and a hair.” Bland remarked that had the design of the proposed new buildings been less good, his decision would have been easier. Commissioner Michael Devonshire said that Andrew Dolkart’s report had been persuasive for him, and that he could not find a rationale to prohibit the demolition of the two existing buildings. Commissioner Diana Chapin also found demolition appropriate, saying the existing buildings “do not meet the standard we usually exercise.” Commissioner Michael Goldblum also struggled with the demolition, but finally found it appropriates. He thought the proposed new building should be further refined in their design, and that their cornices should not align with adjoin buildings, to maintain the saw-tooth nature of the street wall. Commissioner Adi Shamir-Baron suggested that the former stable building be preserved, and only the structure on 17th Street be demolished. Commissioner Kim Vauss did not agree that because the buildings were not of style commonly associated with Ladies’ Mile that they were “open for demolition.” Instead, she said they were part of the “variety of Ladies’ Mile,” and merited protection. The Commission voted to grant the project a Certificate of Appropriateness without modifications. Commissioners Vauss and John Gustafsson cast dissenting votes. LPC: 21 West 17th Street and 16 West 18th Street, Manhattan (18-6335) (June 21, 2016) (Architects: Morris Adjmi Architects; Li/Saltzman Architects).